Improved the 16-09-23 at 18:03 improved language. This article was published the first time 2014-09-12 at 12:40 o’clock Swedish time in www.amorism.cc . The image shows the symbol of amorism. We call our vision and ideology amorism. In the year 2012 I and some friends registered this vision and ideology as a religion. Simultaneously we founded a congregation, a church. 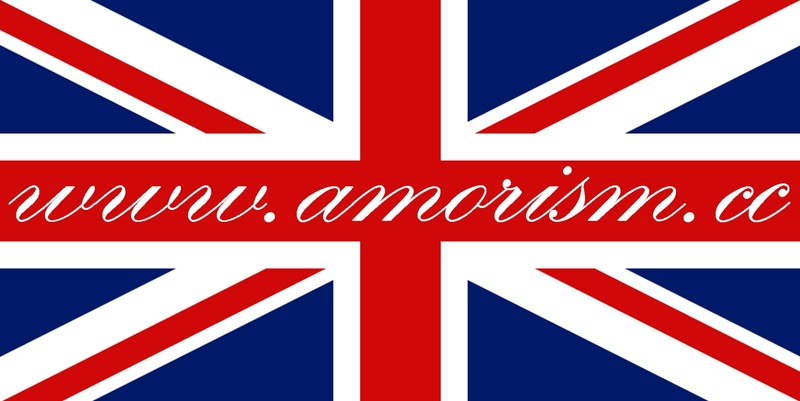 Thereby I gave a new meaning to the english words: amorism (noun), amorist and Amorist (noun for person, religion, church), amoristic (adjective). 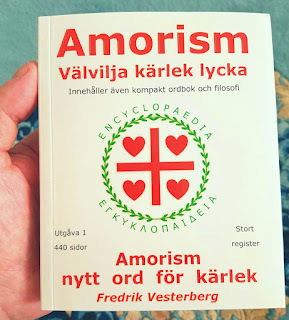 I introduced them in the Swedish language, but the word amoristic is spelled amoristisk in Swedish. The book Amorism explains what we believe is the proper meaning of over 100 important concepts. The most important concepts about amorism is in our creed. The first Amoristisc creed was published the year 2012 when the church was founded. In 2016 the book was published. •The essence of Amorism is the Amoristic vision. It is: everybody believe in love, truth and forgiveness so that everybody becomes completely happy. Amorism calls this total benevolence or perfect benevolence, or amorism. We are aware of that this vision may never be manifested fully. We think it is good to preserve and glorify this vision and virtue, even when it can not be implemented. •We use the amorism-words also for the amoristic virtues, of which total benevolence is the most important. •Amorism is also a philosophy about total benevolence and the other virtues. The philosophy is needed because many persons don't understand important concepts good enough. In amorism I summarise what I and we believe is among the most important and holy for the humanity. Amorism differs from other ideologies, parties, churches and religions. I consider amorism a new religion. Amorism is also much about philosophy. Amorism is virtually a non political ideology. Amorism is demandless. It works by educating/inspiring with the creed, the important words and concepts in it. Amorism and the church was founded also because I and we wish more freedom of expression. We also like science, see our creed. In A_m_o_r_i_s_t_e_r_n_a I and we arrange public lectures, discussions. prayers and divine services, see link. Amorism is inspired by Christianity. But we do not depend on Jesus and the Bible. I wrote several amoristic creeds founded on the vision, see link. Our creed summarises the most important about amorism. 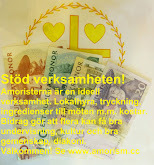 I and we would be greatful if You support the important work for amorism, se link about economy. This article is a short introduction. 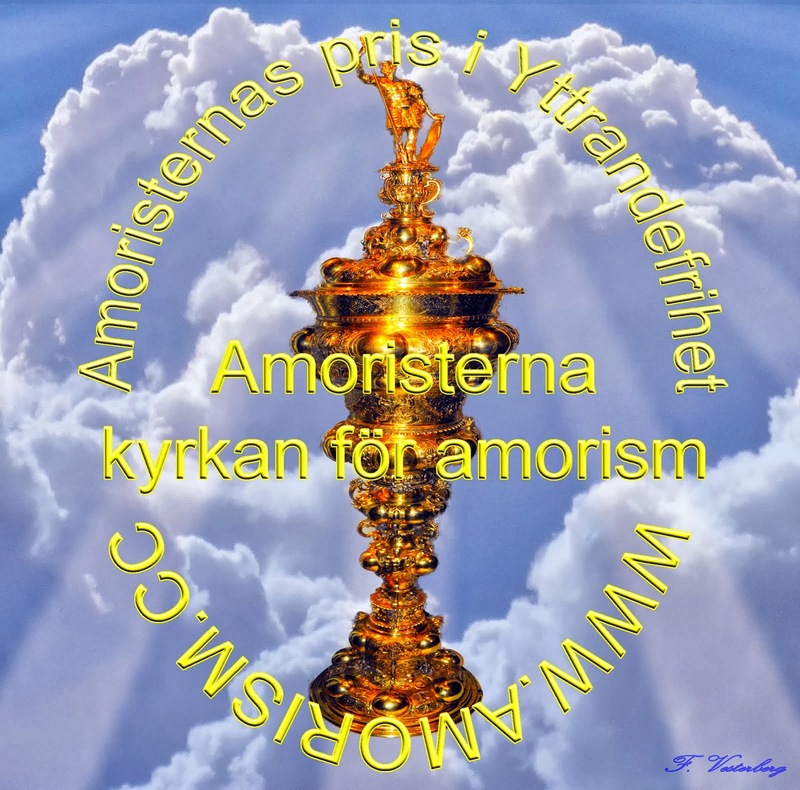 But there is a long Swedish article about amorism and the A_m_o_r_i_s_t_e_r_n_a, see link. put up and if I may I wish to counsel you few fascinating issues or suggestions. deal more attention. I'll probably be back again to read through more, thanks for the info! Hi there to every body, it's my first go to see of this weblog; this webpage includes awesome and really fine data for visitors. I read. When that information is not enough I try to create my own answers. Good luck with your mission. Hopefully I get funding so that we can write and translate the next edition of the book Amorism to English. Fine with your permission allow me to grasp your RSS feed to stay updated with forthcoming post.